The damage has been done but a public apology is not a bad idea. 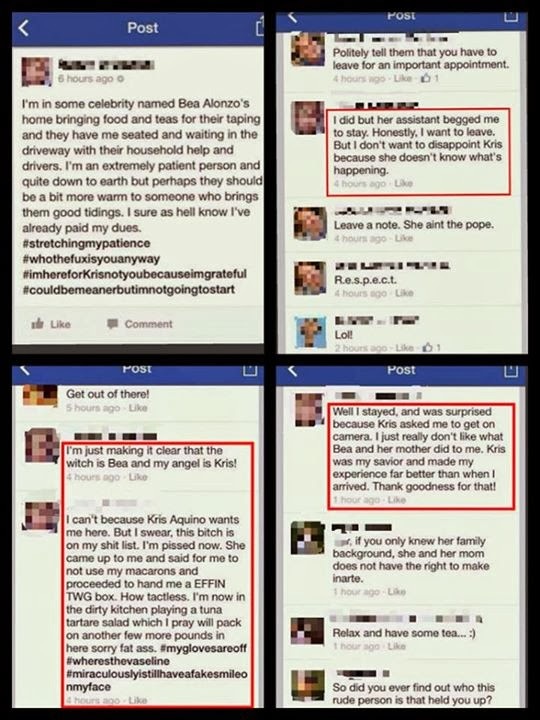 I am just wondering if this caterer is now in the sh*t list of Bea Alonzo's fans and followers. Good luck to her business. 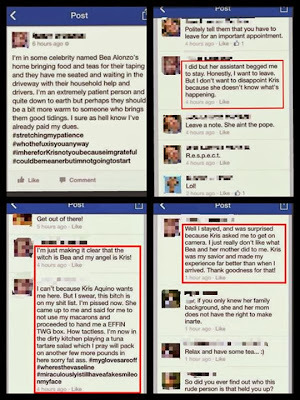 Read her rants against Ms. Bea Alonzo here. I was very surprised and embarrassed when my Supervisor placed this gift on my desk during my last day at work, last week. I was like, "Oh my God!" with my palms on my face. She said they hate to let me go because I have been an excellent worker and the only excellent worker they ever had, but they did not have a choice because I was leaving them for my husband. I was kind of embarrassed because my employers just "promoted" me and gave me a raise last September. I have worked there for nine months and I loved working for them and I loved working with patients. I have been a happy worker during those nine months. Though there were times that I have had bad times adjusting with a co-worker but that didn't affect my performance at all especially when dealing with patients. Also, I am going to miss Steffie, Carol and Ms. Natalie. Those gorgeous girls! 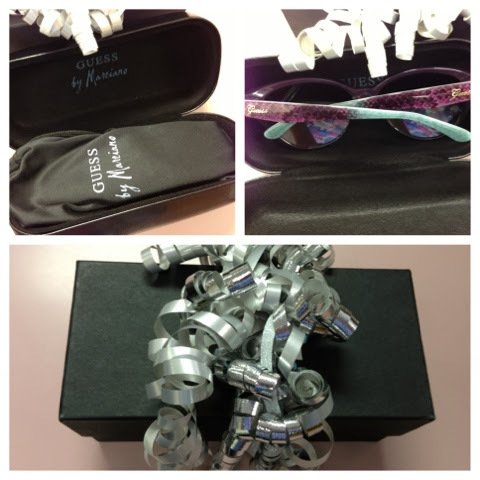 Thank you Northern Nevada Eyecare most especially to my bosses Dr. Fanny Wu Chan and Dr. Bela Svoboda, Jr! Maraming Salamat po! And thank you for dropping by. Have a good one! The caterer's name was Renee Sebastian of Da.U.De Tea Lounge. Reports say that she is the only certified tea expert in the Philippines. Whoever she is, good luck to her business! I personally would not like to try her products ever! After the "panlalait", she released a public apology online though, but the damage has been done. So goodluck na lang! Thanks for dropping by. You have a good one!